Help has arrived for families and teachers in the areas of pediatrics, child care inclusion, child nutrition, and speech-language disorder or delays! This is the place for families and infant and toddler professionals to go to ask questions and receive free professional feedback. Got questions about a healthy weight, healthy eating or anything about child nutrition? Ask our Registered and Licensed Dietitian. Do you need assistance accessing information and resources regarding children with special needs and appropriate modifications in child care settings? Ask our Early Care and Education Inclusion Specialist. Need some assistance with disorders or delays in articulation, fluency, voice, receptive language, expressive language, pragmatic language, oral motor skills and/or swallowing? Ask our ASHA Certified Speech-Language Pathologist. Are you struggling with staying up to date on current medical needs for your child? Do you need additional support regarding your child’s physical well-being? Ask our Board-Certified Pediatrician. Jennifer Popadiuk is a nationally registered and licensed Dietitian in the state of Georgia. Jennifer earned a B.S. in Nutritional Sciences from the Pennsylvania State University and completed a Dietetic Internship with Emory University Hospitals. She is a member of the Academy of Nutrition and Dietetics and is ServSafe certified. Jennifer currently serves as the Nutrition Project Manager with Bright from the Start. In this position, Jennifer is committed to reducing and preventing childhood obesity in Georgia. Her role in the department is to help early childcare providers implement wellness initiatives and healthy changes within their childcare centers. Jennifer serves as a vital resource to childcare centers providing guidance with regards to nutrition and physical activity standards for preschoolers. 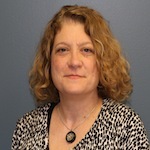 Jennie Couture is an Early Care and Education Inclusion Specialist and has more than thirty years of experience providing educational and behavioral support to children with learning disabilities, social-emotional challenges, sensory impairments and multiple disabilities. Jennie has her Master’s in Learning Disabilities from Georgia College and State University. She has vast experience in development and administration of private and state-funded programs including hospital-based educational services, outpatient psychotherapy programs for children, adolescents and adults, home-based services to children and families in natural environments. Michele Martin, a fully PITC certified Infant Toddler Specialist, has been with the SCPITC Network since 2011, working with child care programs in the Midlands area. 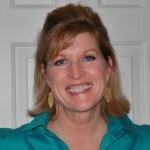 She has 30 years of experience working with children and families in a variety of settings including 12 years’ experience working as Director of an early childhood school readiness initiative and as Director of a Child Care Resource and Referral Agency (CCR&R) as well as 15 years’ experience working with Head Start centers. Michele is a Master Certified Trainer and Level 2 Certified Technical Assistance Provider (TAP) with the South Carolina Center for Child Care Career Development and is also a South Carolina licensed, ASHA certified Speech-Language Pathologist. She earned a B.A. degree from Columbia College and a M.S. degree from the University of Alabama. 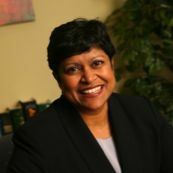 Seema Csukas, M.D., Ph.D., is the Interim Program Director of the Maternal and Child Health and WIC programs in the Georgia Department of Public Health. She is a board-certified pediatrician and a fellow of the American Academy of Pediatrics. Dr. Csukas focuses on programs that address maternal health, improved birth outcomes, child health, early intervention programs, children with special healthcare needs, oral health and injury prevention. She is also committed to collaboration with community organizations to address systems of care and surveillance that will improve health outcomes. Previously, Dr. Csukas worked as a primary care physician in metro Atlanta at Children’s Healthcare of Atlanta. In her 16 years at Children’s, she served in a number of leadership roles including Medical Director for Primary Care Services, Director of Child Health Promotion and Medical Director for Child Wellness. She has been involved in a number of community organizations including Safe Kids Georgia, the Children’s Museum of Atlanta, the Babies Born Healthy Leadership Council of the United Way of Metro Atlanta and others. 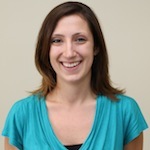 Dr. Csukas earned her bachelor’s degree from Emory University in Atlanta. She received her medical and doctorate degrees from the Georgia Medical Sciences University (formerly the Medical College of Georgia) in Augusta. She completed her residency in pediatrics at the University of Louisville in Kentucky. Prior to coming to Atlanta, Dr. Csukas was on faculty in the Department of Pediatrics at the Medical College of Wisconsin in Milwaukee. Marion Addis is a Licensed Physical Therapist who resides in Virginia and is employed at Child Development Resources, a nationally recognized Early Intervention agency that provides services for children from birth to three years of age who have disabilities or delays in their development. Marion is a graduate of the State University of New York at Stony Brook. She has over 29 years of experience in the field, specializing in children, and has practiced in a wide variety of settings including homes, hospitals, rehabilitation centers, and school systems. She especially enjoys working with children and families in their homes and natural environments.